Please call: 813.769.5180 ext: 291 to make your appointment. CHILDREN UNDER THE AGE OF 18 ARE NOT ALLOWED IN THE SALON OR WAITING AREA. Please call: 813.769.5180 ext: 289 to make your appointment. 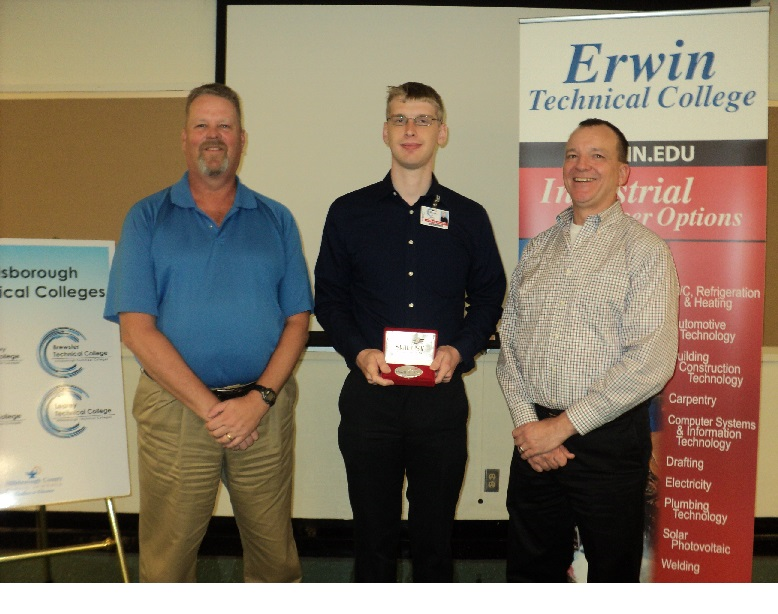 Erwin Technical College student wins big at SkillsUSA National Competition in Louisville, KY. Matthew McLaury, Computer Repair & Networking student at Erwin Technical College participated in the April 2015 SkillsUSA State of Florida Competition taking 1st place in the Information Technology Services category. This June 2015, he was invited to participate in the SkillsUSA National Competition in Louisville, KY. Matthew placed 2nd in the National Information Technology Services category.